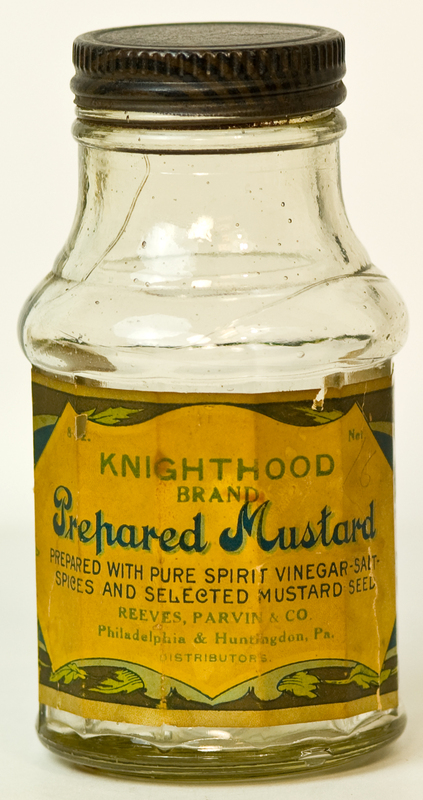 We are downright giddy over our recent purchase of this old Knighthood Brand Prepared Mustard bottle. Based on our preliminary research, we figure it to be from the late 1800s. It certainly predates the 1906 Pure Food Law, since it does not state the net weight or give a list of ingredients. Also, the company seems to have disappeared shortly after 1900. Your donations to the National Mustard Museum make our acquisitions possible. Come see this rare piece of mustard history and other fine mustard artifacts in Middleton, Wisconsin. As always, admission is free.